A chubby blogger who gives you a glimpse of what is life living in the Plus lane. And now as a mom who juggles family life with my "Mister" and our little one. Imagine yourself to never have problems on computing how much added cost could an airconditioner, refrigerator or television add up to your monthly electricity consumption because you can actually compute it automatically. Worry no more because Meralco MoVE app is here and it is for free! 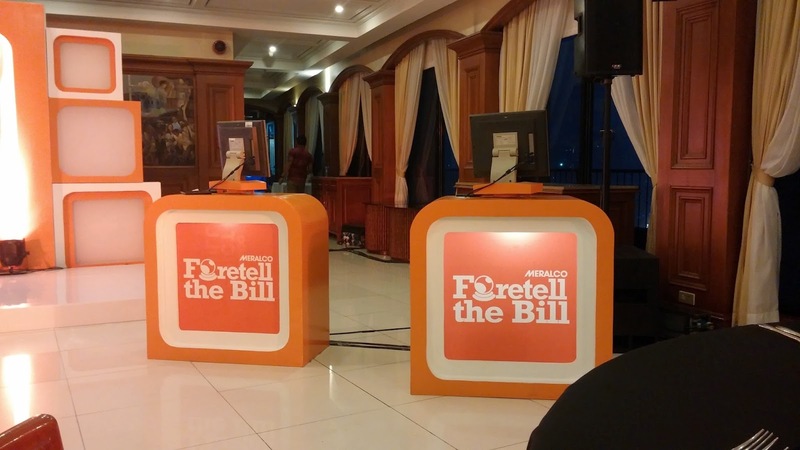 Meralco has launched its MeralcO Virtual Engine (MoVE), an iOS and Android-friendly app that allows consumers to have more power over their monthly electric bill. Knowing that people are more conscious of their electricity usage nowadays, Meralco developed this app to make managing consumers’ electricity spending better. One of the key features allows users to compute their power consumption based on their appliances’ cost per hour and length of use per day and week. The MoVE app also gives users electricity-saving tips, Meralco news updates, and more. To help promote the launch of the MoVE app, Meralco introduced horoscope videos starring comedienne Giselle Sanchez. She plays Madame Giselle, a fortune teller who identifies the electricity-wasting bad habits of each Zodiac sign and gives advice on how the MoVE app can help them. Watch the videos on Meralco’s YouTube channel. The MoVE app is available for free, on both the App Store and Google Play. For details, visit meralco.com.ph. I'm a typical wash and wear lady, I don't have time to really fix myself that much, a little powder puff, then lipstick, and I am good to go. So thus with my hair, I'm a bit lazy to blowdry or iron and my hair is wavy, so for the past 7 years, either I am permed or rebonded. 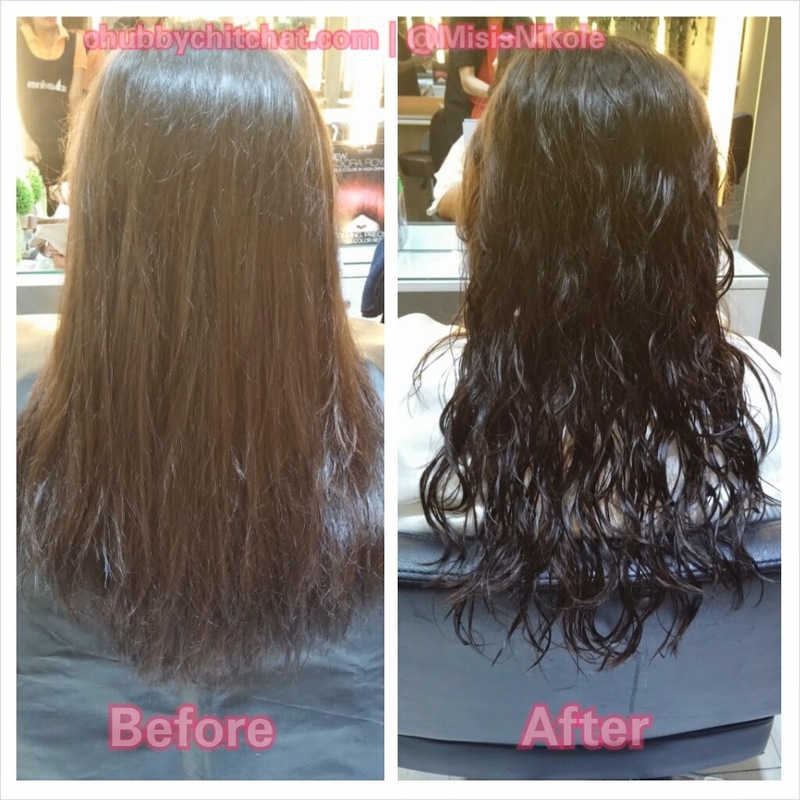 But because of too much chemicals and my hair really was damaged I had to stop, for two years I didn't do anything to my hair just the usual spa or hot oil treatments. Lately I was thinking of having a rebond after that 2-year pause, but the husband disapproves, he thinks too straight doesn't really fit my looks since I have a rounded face and chubby too lol! And then I saw a good friend Donna's Instagram post of her digital permed hair, a brief background, Donna was an officemate way back and she's a total fashionista from head to toe, I really learned a lot from her super. So anyway I told her I super love her curls and she said I could try it also at her friends Salon in Fisher Mall in Quezon Ave. 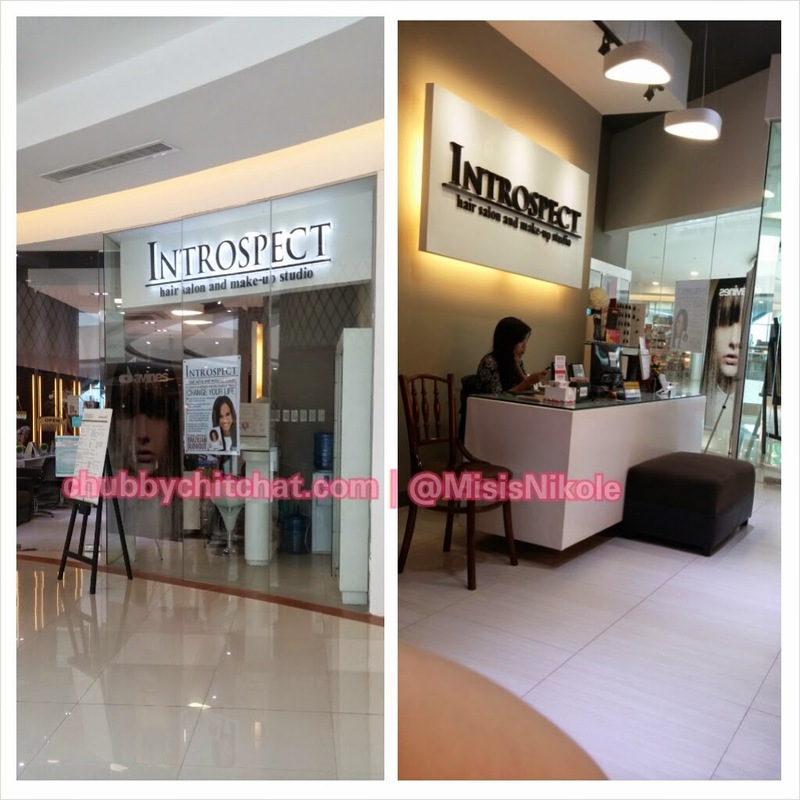 Which is the Introspect Hair Salon and Make-up Studio. 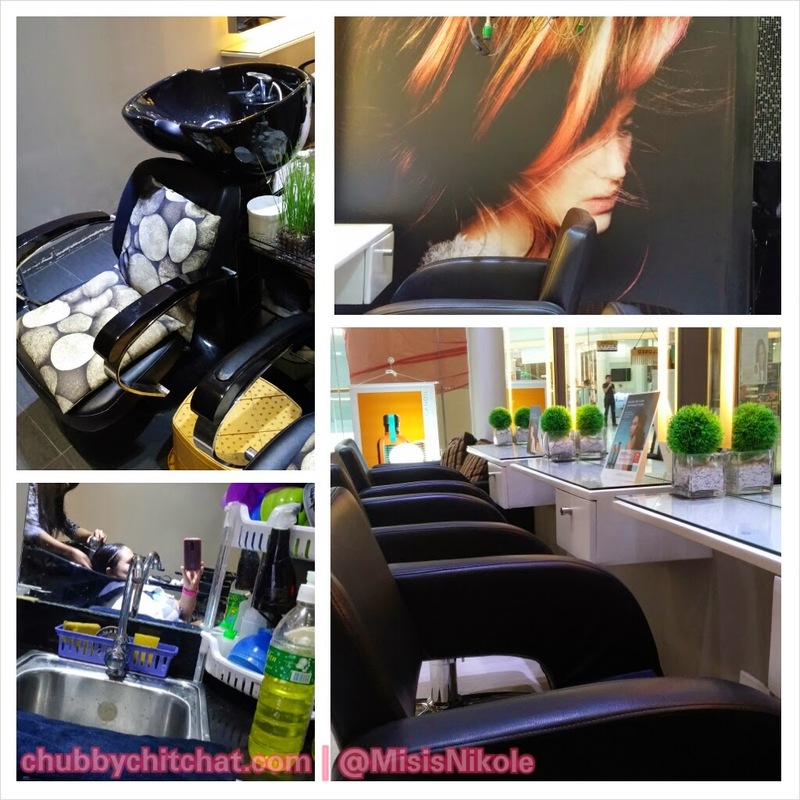 So you see it's not just for the hair but for make-up services too. I told my husband about it and upon learning that it's gonna be a digital perm kind of fix, he immediately approves it. Yay! Now let's go to the salon experience, I was greeted by their very friendly receptionist Emily whom we can call as Ems, who also did my shampoo and handled my hair with care, I love their shampoo tub since you won't need to fully lay down and stretch your neck, it's like a usual reclined seat less the effort of making sure that the back of your neck reaches the tub and oh the water was of normal temperature not too hot nor cold. And then i met Jerwin, he is one of the stylist here and said that he was also the one who fid Donna's hair, by that statement alone I knew I was in good hands. So after shampoo, Jerwin did a little trimming to remove the split ends, dry hair and do a little styling so that the curls will be more gorgeous. 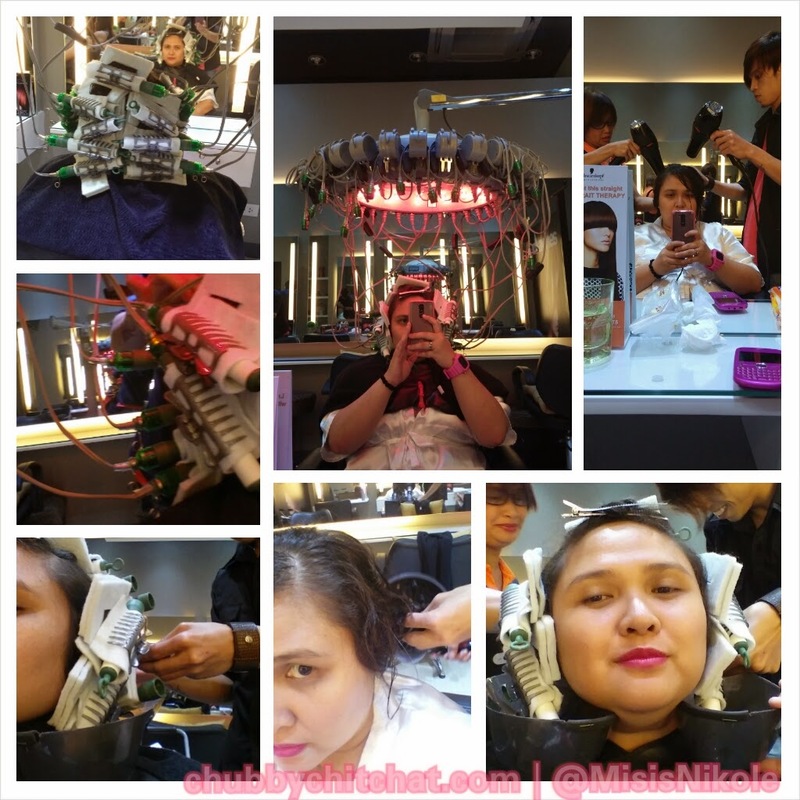 Next was the medicine application to set my hair for the digital perm machine, its been a while since the last time I had the smell of hair medicine, a bit weird but its all good "tiis ganda" was my mantra lol! 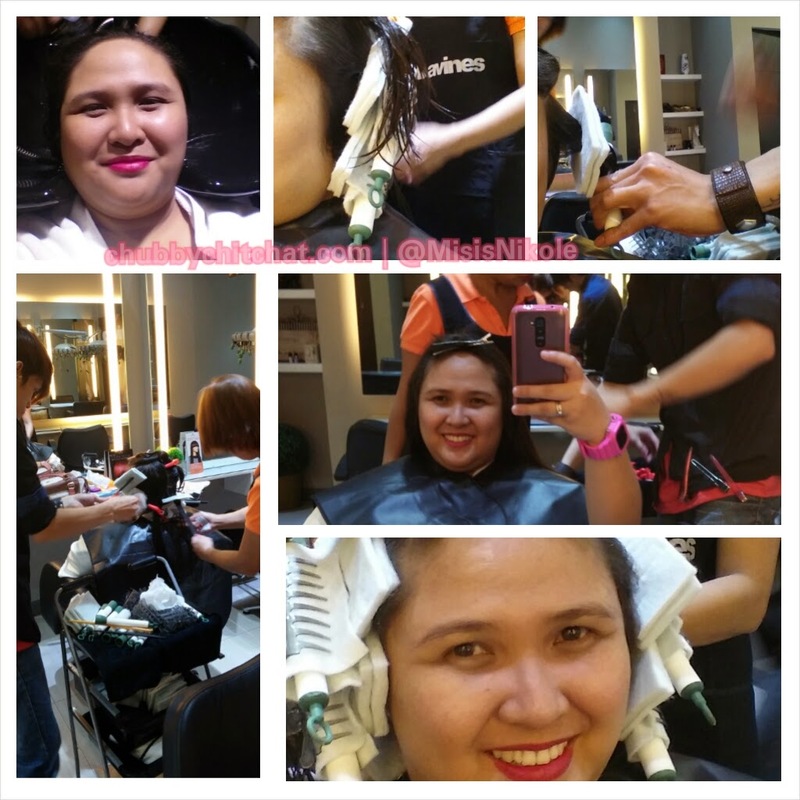 Jerwin handled my hair ever so gently, I had experienced other stylist who have heavy hands in handling clients' hair, this one I like, no pressure just plain pampering. After rinsing the medicine off my hair, we now proceed to the placing of what seems like as hair rollers to achieve the perefct curl, and so we roll. After the rollers were placed, it was a bit heavy but bearable, then we move on to the digital perm machine, its like a spaceship over my head, if it' your first time, you'll be a bit worried but this one is safe, I think what it does is to actually like cook the hair so as to form the curls. By the way, this procedure would last for about 3 to 4 hours, they serve water or iced tea but if in case you feel the need to grab a bite, Ems the receptionist is ready and willing to do some food errands. So when the red lights are on, be prepared for hotness, the cooking process is a bit hot but no need to worry if you feel that its too hot to handle, just let the staff know and they'll fix something or add a padding for an immediate relief, 25 min of hotness that is! May I add, I like how the staff communicates with their clients, they are nice yet professional, they know their limits in terms of getting to know the client, not too many and personal questions, also they are not noisy and giggling and talking about other people, other clients or whatever they want, they focus on what they do. So after the machine, we have to wait for the hair rollers to cool down before removing them, but the removing process is not easy, they attached a neck pillow shaped plastic container on my neck because while the rollers are being removed a certain rinsing medicine is being poured hence another tiis ganda process. Then the final rinse, I was super excited to get the look that I missed. Voila! Hello digitally permed hair. I super love it and the husband too! 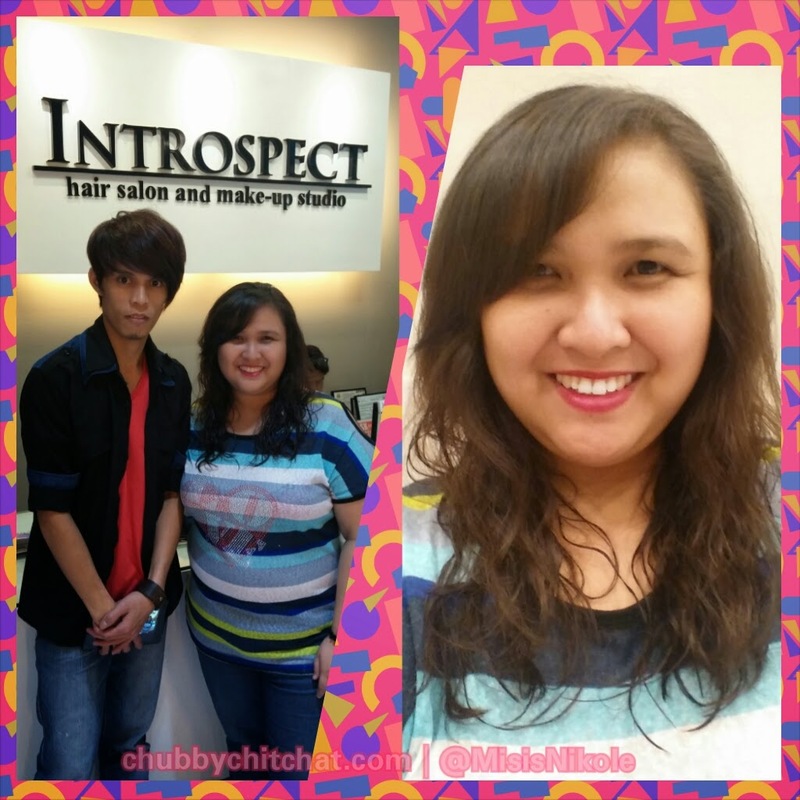 So, for those of you who would like to try a different look and get your hair permed too, visit Introspect Salon at the 3rd Level of Fisher Mall, rate starts at Php 3,500 depending on hair assessment but it will surely be worth it. Samsung Electronics Philippines Corporation (SEPCO) through its Media Solution Center in Southeast Asia (MSCSEA) today announced a series of initiatives to engage parents and children with a safe and secure “learning by playing” environment. 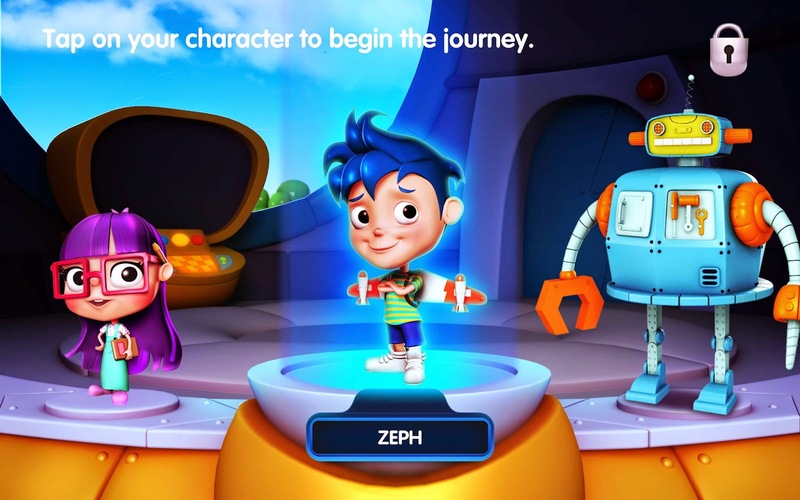 The initiatives will take place in the Philippines, and the rest of Southeast Asia, and will include the launch of Samsung KidsTimeTM; a children’s content service application (app), and the creation of a Samsung KidsTimeTM Author’s Award to encourage publishers to create relevant content for children. Cris Concepcion, Director for Content & Services, Samsung Electronics Philippines Corporation said: "Samsung KidsTimeTM promotes a safe and secure learning environment for children. The large variety of kids' apps available makes it difficult for parents to filter and monitor what their kids are doing with technology. Through Samsung KidsTimeTM, parents are provided with tools such as Time Set, App Lock and Parent Report. This gives them peace of mind knowing that their child’s play sessions are guided and meaningful." 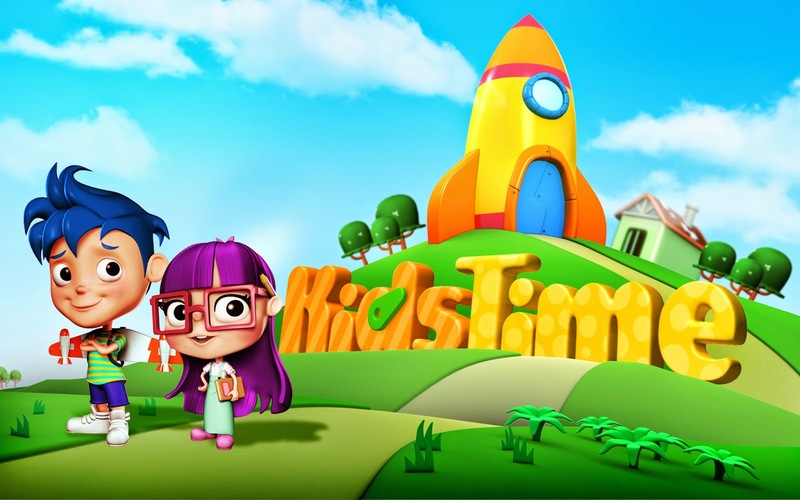 Samsung KidsTimeTM is a content subscription service optimized for Samsung tablets that provides children aged 3-7 years old with access to a carefully handpicked set of edu-tainment apps and eBooks, and parents with additional features including personalized children usage reports. The app provides content in a safe and age-appropriate environment, free from advertisements and in-app purchases. 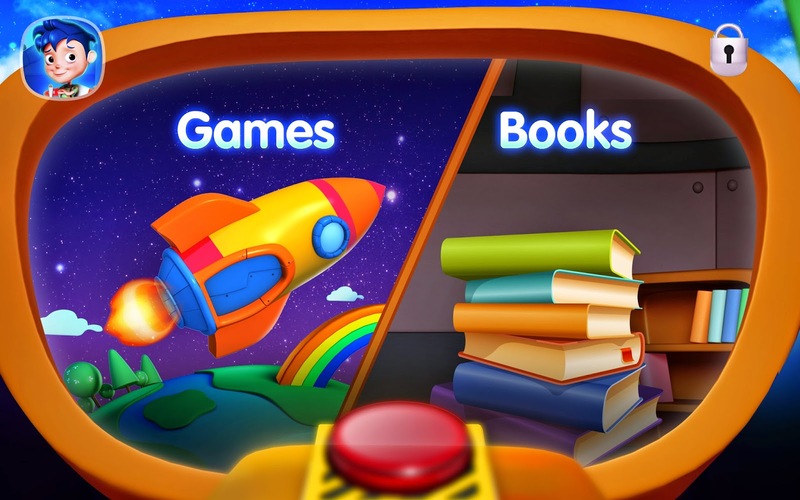 At launch, children have access to 30 eBooks and game apps revolving around themes such as learning math, literacy, science, creativity and others. The list will eventually expand to more than 50 apps that will be refreshed monthly. 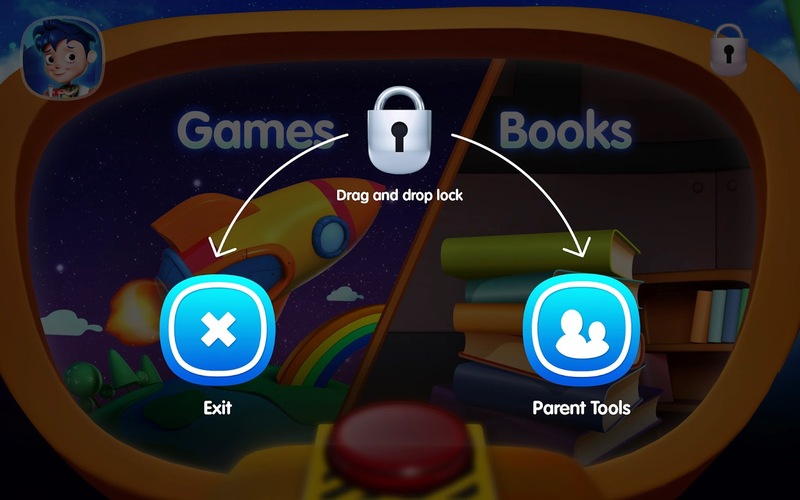 Parents are also provided with “App Lock” function that prevents children from leaving the app environment without a passcode. This app allows kids to play and learn in a safe digital environment, giving parents peace of mind. Concepcion continues: “It can be challenging and frustrating for parents to filter and identify safe and age-appropriate apps for their children. Content publishers are also finding it difficult for their apps to be discovered by parents that want to guide their child’s early learning progress. We can help address these challenges with Samsung KidsTimeTM, by providing an expertly designed and managed platform that makes it easy for parents to discover content and publishers to target consumers. Samsung KidsTimeTM also has a time-setting function that allow parents to teach their kids to use technology responsibly. It also gives them personalized reports so they can monitor the apps their children are playing. Based on the child’s usage, Samsung KidsTime TM gives parents the visibility on the type of content that appeals to their child as well as a comprehensive view of the child’s interests. It will also recommend apps that they would need to supplement holistic learning. 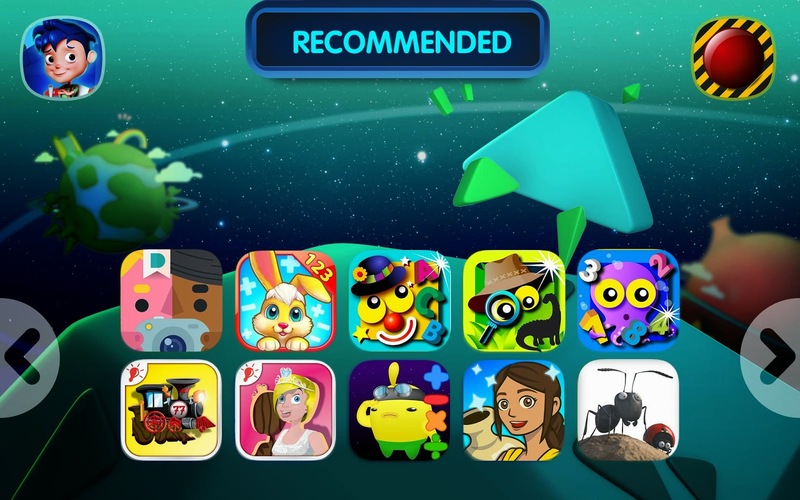 For example, if a particular child always plays games that lean towards Math, it will recommend apps that are geared towards Science and Reading. Samsung has announced the creation and launch of Samsung KidsTimeTM Author’s Award, in partnership with the National Book Development Council of Singapore (NBDCS) at the Asian Festival of Children’s Content 2014. Here in the Philippines, the National Book Development Board (NBDB) led headed by its chairperson Flor Marie Sta. Romana Cruz, will lead in identifying ten potential award winners, who will each win USD 20,000 and will have their winning submissions featured in Samsung KidsTimeTM for a year. Participation is open to authors or publishers across the Philippines and South East Asia and will run until end October 2014. For the Philippines, the Author’s Award will be issued to 10 winners and valued at USD 2,000 per award. 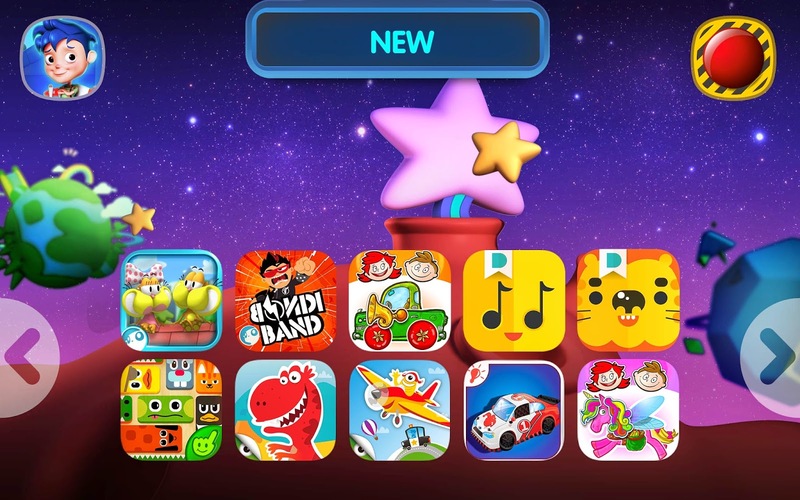 Winners will be announced in November 2014 and the winning submissions will be promoted and distributed on Samsung KidsTimeTM in Southeast Asia for 12 months. More information can be found at the Samsung KidsTimeTM website. Ms. Flor Marie Sta. Romana Cruz, National Book Development Board Chair said: "The National Book Development Board welcomes this collaboration with the Samsung KidsTimeTM Author's Award as it supports our advocacy to provide incentives for the publishing industry and to promote literacy especially among young readers. The idea of digitizing noteworthy children's literature to make it accessible to a larger population beyond borders and to a clientele more attuned to the digital format is one that is long overdue. We dream of every child reading in whatever format is within his/her reach. What a boon to authors, illustrators, publishers and the entire reading community!" Samsung KidsTimeTM is currently available for all users of Samsung GALAXY Tab 3 (7.0”), GALAXY Tab 3 Lite and GALAXY Tab 4 (7.0”) and will soon be available for other Samsung devices. Samsung KidsTimeTM is now available for download for free from Google Play. In the Philippines, the app comes with a free 1 month subscription to over 30 kid-safe apps and eBooks. In the Philippines, parents can upgrade to a monthly subscription of Php 199 that will give them unlimited access to all Samsung KidsTimeTM content. Breeze ActivBleach is treating mommies across the country to a day off from their laundry chores with the simultaneous nationwide event 1Laba Day happening on August 28. 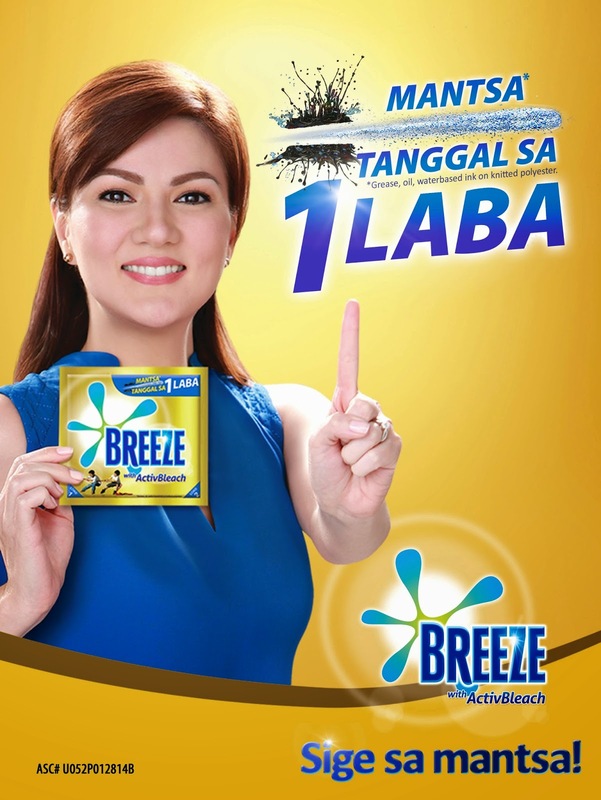 Moms in barangays throughout Luzon, Visayas, and Mindanao are invited to head to 1Laba Day venues and let Breeze’s revolutionary ActivBleach take care of their stained clothes while they take part in exciting activities Breeze has in store for them to celebrate every mother’s hard work and love for her family. 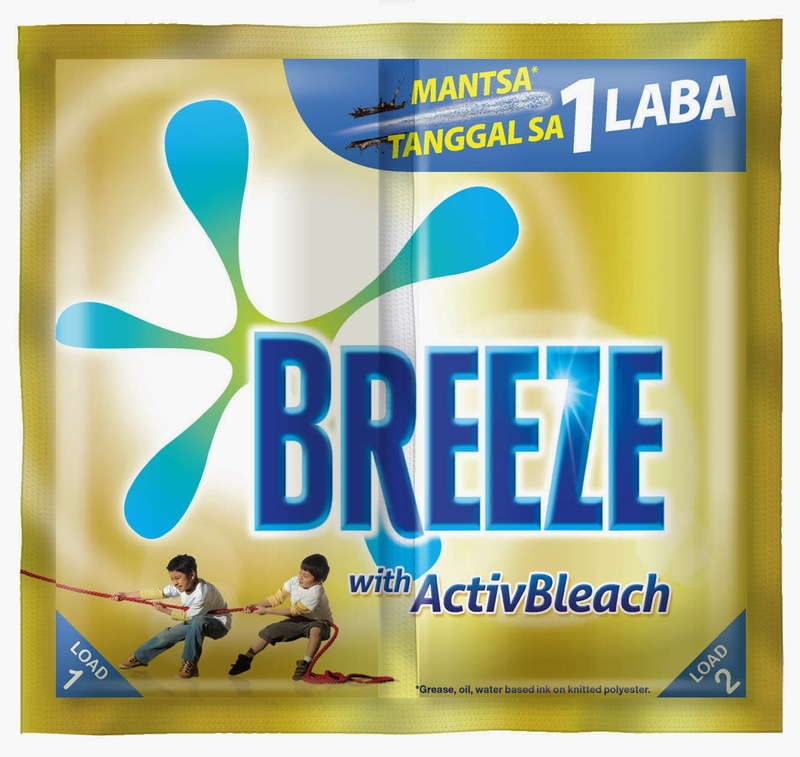 With 1 Laba Day, Breeze aims to wash 1 million stains using Breeze ActivBleach, which removes even the toughest of stains in just one wash. Participating moms can enjoy their ultimate laundry day-off as Breeze treats them to various entertainment activities, while the Breeze Laba Ladies and Laba Machines, sponsored by campaign partners Electrolux, White Westinghouse, Whirpool and LG, will take care of washing their clothes. Simultaneous 1Laba Day events will happen in Metro Manila (Pasig, Marikina, Quezon City, Pasay), North Luzon (Tarlac, Pangasinan), South Luzon (Laguna, Cavite), Visayas (Cebu), and Mindanao (Davao). Breeze with ActivBleach is the first and only detergent brand with 4-enzyme technology to remove more types of stains with less effort and time. It even has a unique active system for better foam profile and quicker lather, plus percarbonate TAED bleach that takes out bleachable stains without harming the environment. Be a part of the Breeze 1 Laba Day event and see for yourself how Breeze with ActivBleach removes 1 million stains in just one wash. Like the official Breeze Facebook page (@BreezePhilippines) and join the online promos to get the chance to win washing machines from partner brands. Consumers can also get free Breeze gift packs for every purchase of an Electrolux, Whirlpool and LG washing machine. The maker of Modess, Clean & Clear, and Carefree revealed today a troubling global statistic: 75% of adolescents aged 13-19 years old are growing up fearful adults, hesitant to show people who they are and to display their potential because they are afraid of being ridiculed or judged for their appearances. Teens fear that their peers focus on the external, bodily manifestations of puberty like pimples, menstrual leaks, and odors instead of who they are inside and what they can do. As a result, instead of sharing their own thoughts and ideas, having fun, or participating in socio-civic activities that drive personal progress and development, they often choose to tuck their heads in a corner and stay on the sidelines. Johnson & Johnson recognizes that along with society, pop culture, and other entities, it played a role in propagating this mindset. In order to sell products, most companies paint puberty as scary and taboo in order to drive demand for the products they provide. 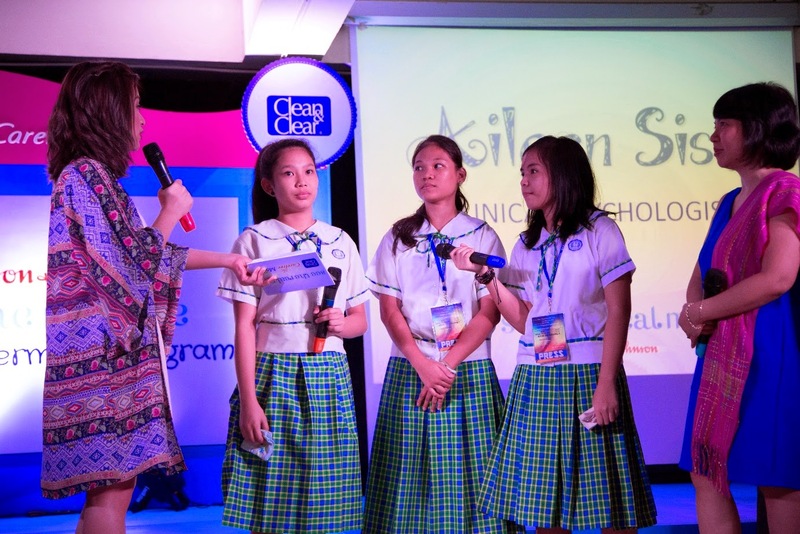 As such, J&J Philippines takes a brave stand with its recently launched, pioneering campaign entitled “See the Real Me.” Spearheaded by the company’s teen brands Clean & Clear, Modess, and Carefree, J&J wants to take the lead in correcting this mindset. It wants teens to understand that pimples, oil, menstruation, and wetness are not hindrances, but rather, milestones of a new chapter in their lives and a signal for them to show the world who they are and what they have to offer. “See The Real Me” takes on this new empowered mindset among teens by providing real role models—teen girls from the 25% of the population who have shown the courage to rise above puberty issues and are not afraid to move forward and show the world who they really are. The campaign has also unveiled its official, self-titled anthem which aims to unify both segments and inspire them with its message. J&J also provides platforms to make the campaign easily accessible to teen girls. Through digital media, it will be showing video testimonials about real teens talking about the challenges they encounter and expressing who they really are. And through on-ground efforts, there will be various educational teen programs in-store, as well as the J&J See the Real Me Teen-Powerment School Program. After three decades of partnerships with schools nationwide, J&J elevates its program by going beyond physical education and digging deeper into the psychological, emotional, and social components. This school program will initially go to hundreds of schools in the country, with the drive to help give teens the courage to show their real selves and tell them that puberty isn’t something to be scared of – and, on the contrary, that it should be celebrated. During the official launch event of the campaign at Makati High School, the See the Real Me anthem was debuted and performed by Krissy. Teen psychologist from Cribs Foundation, Aileen Sison talked more about the importance of celebrating puberty and having the courage to say #seetherealme. Want a trip to Hongkong and Macau for four days 3 nights with a free tour at Ocean Adventure and HongKong Disneyland and a $500 USD pocket money? How about an Apple I-Pad Air or a Samsung Galaxy Tab Pro 8.4? Join Schick razor’s newest craze #SMOOTHLEEADVENTURE promo where participants will be asked to create their own Schick television commercial using the Smooth Lee Adventure mobile application. 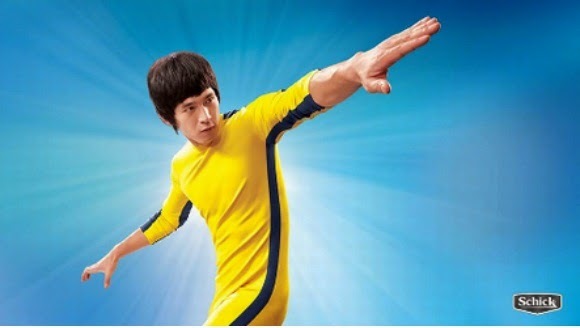 Participants joining the promo will be asked to download the “Smooth Lee Adventure” mobile application in IOS Apple and Android. Those downloading and playing with the app can now star in their own Schick TV commercial. “We wanted the consumers to experience Schick Exacta 2’s refreshing, liberating, and stress-free shaving as Exacta 2 offers one-push cleaning button that helps remove hair easily. Exacta 2 likewise aims to precisely target hair in hard to reach areas leaving a smooth shave. 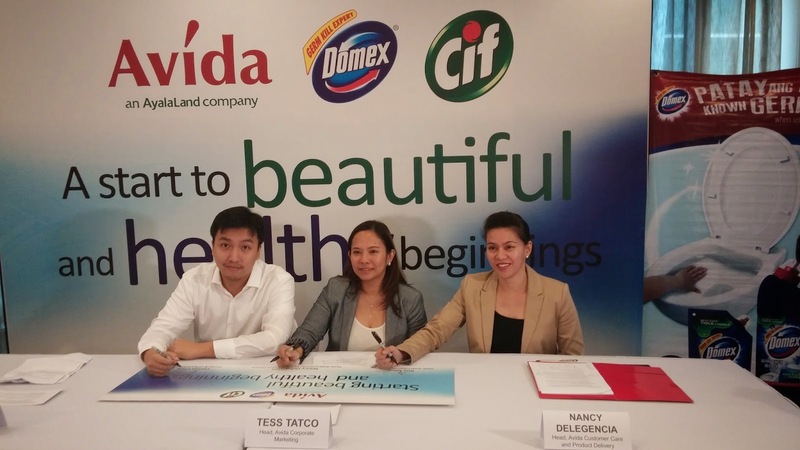 We want to connect Schick with the consumers and in today’s growing number of smart phones in the market, we chose to do an app and a digital promo to make it more exciting and fun for the consumers,” Claire Guevarra, Schick Senior Brand Manager said. The videos created will then be converted to Youtube and the contestants will be prompted to “share” and/or “join” the promo. Those who opted to join the promo will have to register and submit their entries at the Schick website (www.schick.com.ph). Once entries are registered and approved by Schick Philippines, the videos will already be made public on youtube. Qualified entries will be posted on Schick’s official Facebook page and will be raffled off to determine the winners. A trip to Hongkong and Macau for two awaits the grand prize winners while an Apple I-Pad Air will be given to second prize winner. The third prize winner will receive Samsung Galaxy Tab Pro 8.4. There will also be 50 consolation prizes of Schick gift packs. The promo runs from August 1 to September 30, 2014. 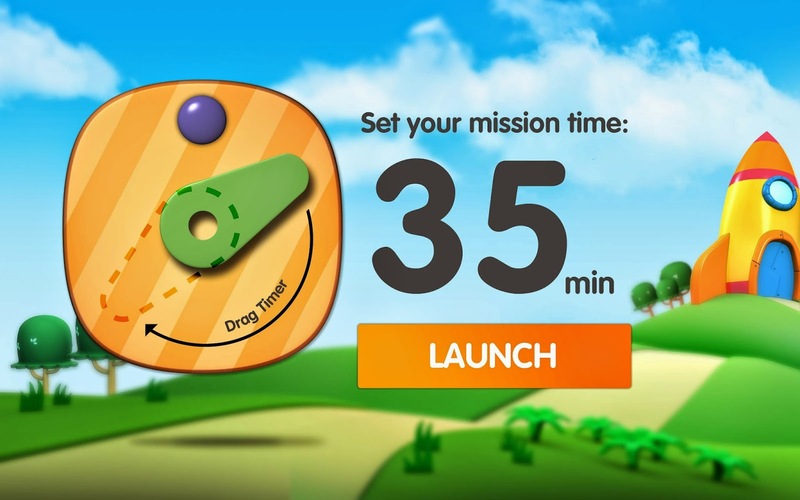 “Through this promo, we will pursue our goal of not only encouraging the public’s creativity with the use of the App that we developed for them, but more importantly the importance of good grooming and self confidence that we packaged in a fun and interactive way via the Smooth Lee app” said MJ Tiquia, Schick’s product manager. For more information on the latest promo from Schick Philipines, visit www.schick.com.ph , like www.facebook.com/schick.ph. Schick Philippines can also be followed through Twitter, Instagram, and youtube. Per DTI permit number, DTI-FTEN SPD Permit No. 0043 Series of 2014. Finite land resources in the metro have led to more and more Filipinos switching to living high above the cities. The growing demand for dynamic urban environments, wherein the comforts of security, proximity to the conveniences of the city, and refreshing atmospheres reminiscent of hotels meet, made vertical living an ideal choice for life starters and most urban dwellers. The popularity of vertical living has paved the way for a booming property industry, giving rise to numerous condominiums that offer the same comforts. 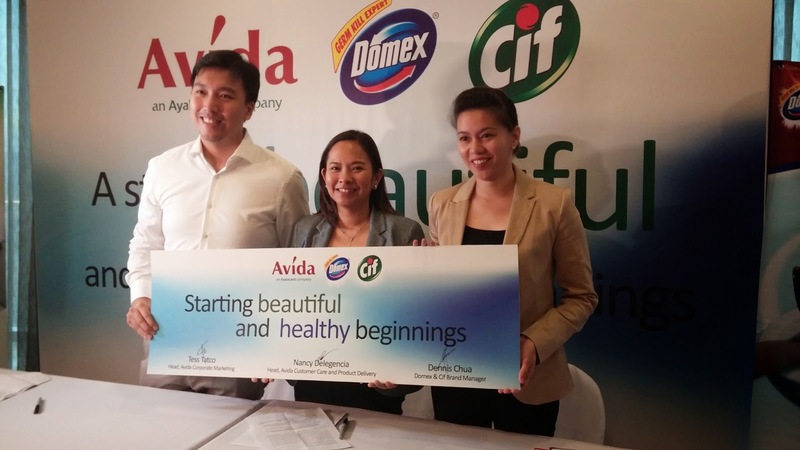 But whether you live in a condo or house and lot, the importance of maintaining a clean home for a healthy family is of utmost importance to Avida. Both are promoting healthy living through programs on proper cleaning and sanitation. 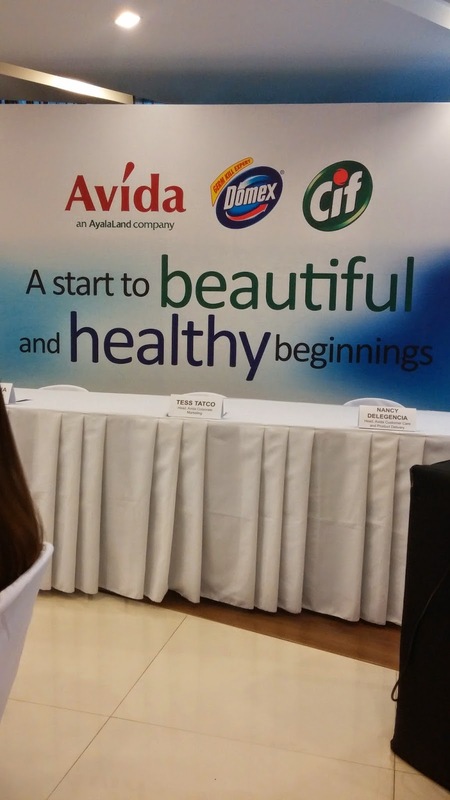 In partnership with the communities’ respective homeowners associations/Condo Corp. and Avida Customer Care Unit headed by Nancy Delegencia, Unilever will conduct a series of educational talks that will initially benefit more than 6,000 Avida homeowners in Bonifacio Global City, Quezon City, Muntinlupa, Parañaque, Cavite, NUVALI. 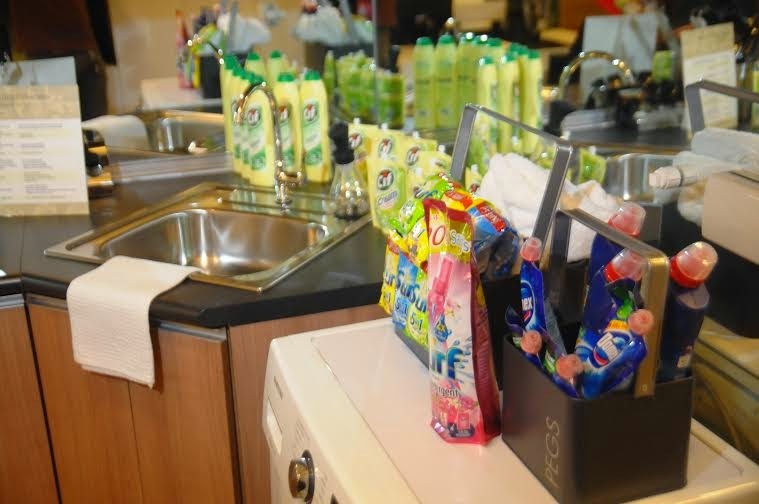 A cleaning caddy containing a range of Unilever’s household care products such as Domex multipurpose cleaner, Domex toilet bowl cleaner, and everyday household cleaning product. 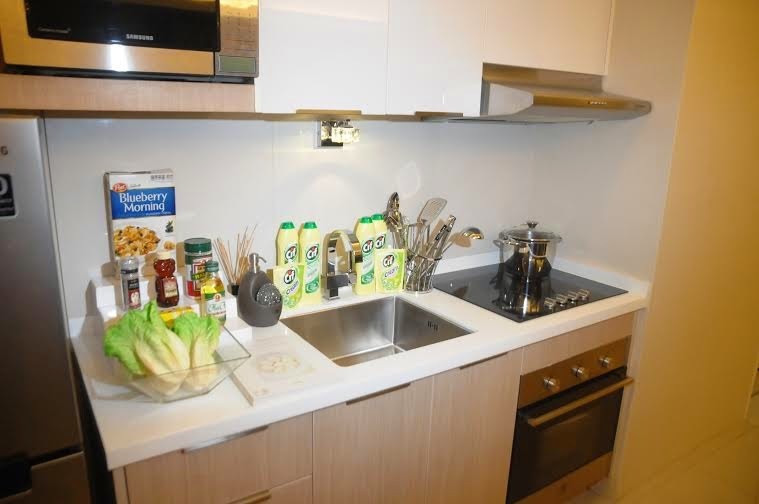 Cif will also be given out to new condominium and house and lot homeowners upon the turnover of their units. So far, the movement has been continuously receiving pledges and it hopes to achieve one million clean toilets, in time for World Toilet Day in November. Blogger templates . Proudly Powered by Blogger .